Express your deepest feelings of love at this difficult time of loss. 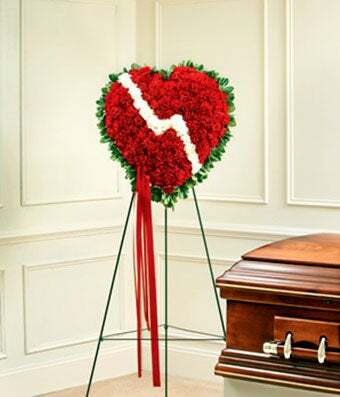 This beautiful florist arrange heart-shaped standing spray is created with stunning red and white carnations. Hand delivered to a funeral home, same day delivery if needed. Measures approximately 26"H x 26"L without easel.